Hope all is well and Blessed on this Friday Evening. I’m Blessed to have seen this day, and all is well. All Thanks to God for HIS Grace, Mercy, and Favors. I just wanted to share Today’s Quick Project. 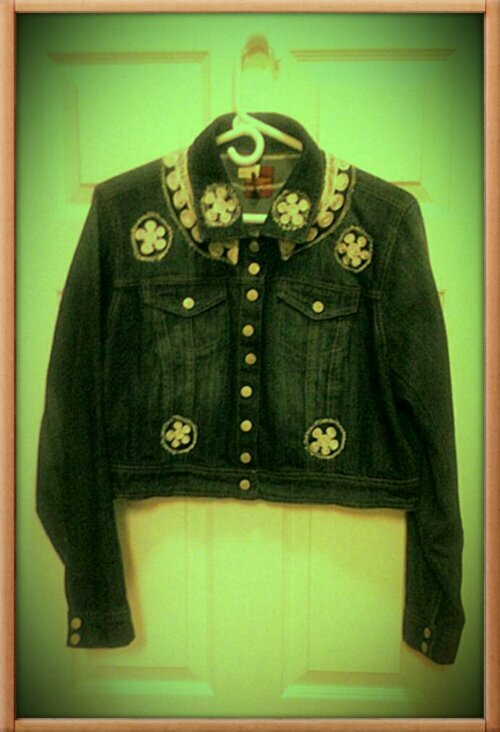 I cut out from an old dress the Embroidery and added it on my Jeans Jacket. It turned out okay, but not perfect. It definitely is a New Look. 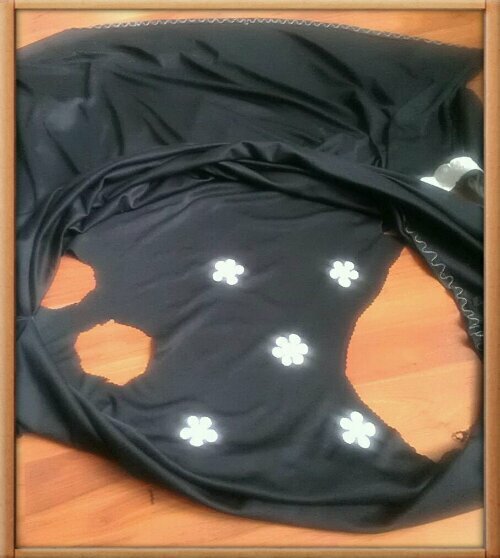 Posted in S E W I N G and tagged aarp, BurdaStyle, Creative Look, Jeans Jacket, LinkedIn, Quick Sewing Project, sewing. Bookmark the permalink. I think that it is cute and I read somewhere that jean jackets are back in style. That looks so great Mtetar! Great idea! My 5 year has been doing a number on his pants and jeans and getting holes in the knees. This week my goal is to get those all patched up! 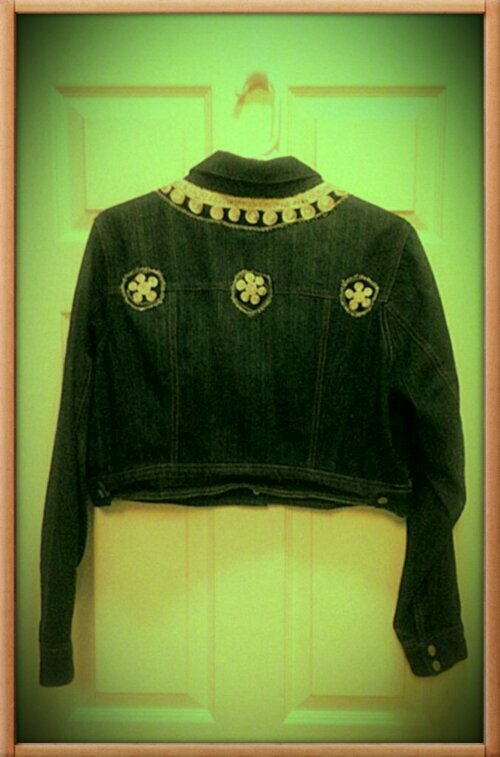 Love this very artsy jeans jacket!